Jeremy Lin is a great story for basketball fans–but business owners would do well to take a page or two from his playbook. 1) If you don’t believe in yourself, you can’t expect anyone else to. 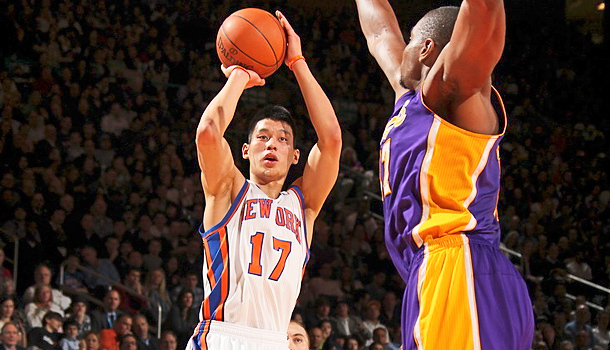 As a high school student, Lin dreamed of playing basketball at the college level. However, he failed to receive even a single scholarship offer. As a result, he chose to attend Harvard and “walked on” to their basketball team. Upon his graduation from Harvard, Lin again appeared to be unwanted–no NBA team was willing to draft him. Lin was ultimately signed and then cut by both the Golden State Warriors and the Houston Rockets before getting his chance with the Knicks. Had he believed what the “experts” thought about him, Lin would have given up on basketball and pursued a different career. But he didn’t, because he had confidence in himself and strong vision for the future–do you? 2) Unselfish leadership is the only way to truly inspire others to follow. Sportswriters and broadcasters have noted that one of the more remarkable aspects of Lin’s emergence is the way in which his teammates have embraced him. There are plenty of players with as much or more talent than Jeremy Lin–but you’re not likely to find any as unselfish. Lin consistently puts his teammates first, and he’s been rewarded with their loyalty and support. 3) Consistency is more important than a flash of brilliance. The unspoken question that even the most devoted fans of Lin must ask themselves is “how long can this continue?” Right now, Lin is dominating headlines across the nation–but will we still be talking about him three months from now? All signs are that Lin is the “real deal”…but it’s too early to know for sure. If he is able to maintain his high level of play, he’ll be a household name for years to come (not to mention a millionaire many times over). But if he proves to be erratic and inconsistent, he will lose the trust of his teammates, and his star will fade rapidly. Think about your leadership for a moment. Are you consistent? Do your employees know what to expect from you? Can they depend on you to make the right decisions for the future? The answer to those questions will go a long way towards determining your effectiveness as a leader. Jeremy Lin is a great story for basketball fans–but he offers more than just entertainment to business owners. Which of these lessons can you apply as you lead your organization into the future?